Show us the love!!! Put your e-mail in the space to the right so you don't miss a single post!! Scroll down for our newest posts! Leah and I LOVE our essential oils. We want to share this love with you by showing you lots of ways you can use them. So, grab a cup of coffee and spend a little time wandering around our site and learning! Make sure you check out the tabs at the top of the page. There you will find many links that will lead to some of our previous posts! The "About Us" tab will tell you about each of this mother and daughter team. Enjoy and thanks for hitching a ride with us on our adventure. 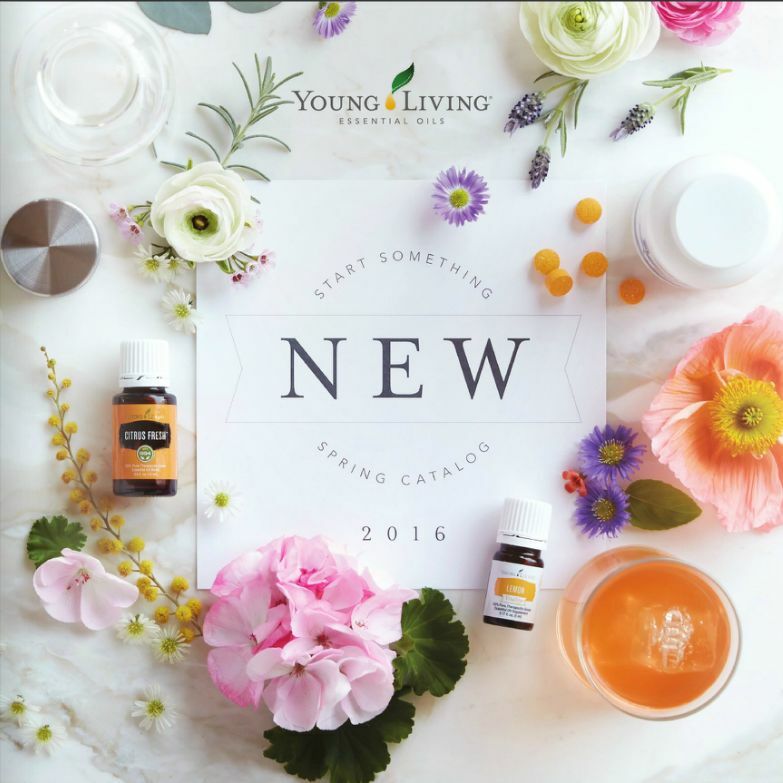 2016 was a wonderful year for Young Living. We hope that you enjoy the facts graphic below. As for our own Young Living team, it almost doubled!! We started our Monthly Oil Club with great success and will be continuing it into 2017. We hosted three fun Make & Take classes with themes and will have at least four in 2017. The new year looks wonderful with all of us learning more and more about the benefits of our essential oils! If you are interested in learning more about oils, please let us know! Treat yourself this Christmas to Wellness! Have you thought about what you want to get yourself for Christmas? Black Friday usually has all of our family shopping and it is really crazy! This year we are going to make it easy for you. Leah and I are offering an Early Black Friday special so you can take your wellness to a whole new level. When you treat yourself to a Premium Starter Kit (PSK), Young Living will be treating you with a free 5 ml bottle of Christmas Spirit. Diffusing it with the diffuser that comes in the PSK will fill you with the joy of Christmas!! A special app that you can use on your phone and/or iPad. The app has info about each oil and blend, application charts, user guide and so much more. 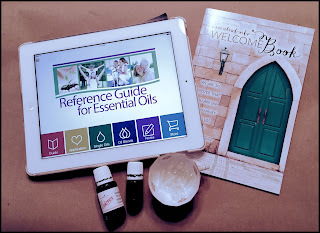 A welcome book filled with ideas on how to use the oils in the starter kit. A sample of our Thieves Household Cleaner Concentrate all ready to put in your spray bottle. Membership in our private Facebook group called A Drop A Day where 1800 members share. An empty bottle so you can start making synergies and blends of your own. This is a limited offer good through November 16th at 12:00 Pacific Time so don't delay!! The price for the kit AND our gift to you is $160 plus shipping (around $8) and tax. The kit alone is about $300 retail so the $160 price is a tremendous value!! Then you add our welcome gift and the value is even greater!! You can contact us through the comments below or through our Facebook pages. You can sign up without our help if you wish by clicking on either Leah's or Ann's Personalized links shown below. Two samples of our awesome anti-oxidant drink called Ningxia Red. Yup, you can cook with your essential oils. Young Living has an entire line of oils called Vitality that are branded for ingestion. One of the easiest ways to ingest oils is to put a drop of Lemon or Peppermint in your drinking water. This is a great way to increase your water intake because it tastes so good. Plus, the Lemon is helpful for good body function!! We all can't have fresh herbs in our kitchen but having essential oils is the next best thing!! When you use your oils in cooking dishes that are baked or cooked on the stovetop, add them in at the very end of the cooking process. This way the full flavor of the oil will be retained instead of cooked off. You also need to remembe....less is more! These little drops of oil are really potent and you really truly don't need a lot to season your dishes. Start with only one drop and increase from there. 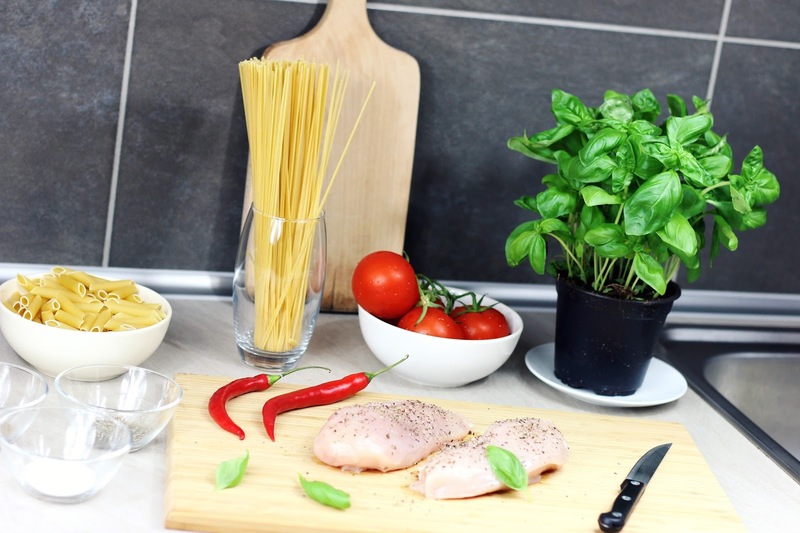 The Young Living blog has a great list of ideas of ways you can use your oils in your food prep. You know what I heard the other day. It is projected that the Essential Oil industry is expected to double in the next 5 years. Let that sink in! By 2020, the industry could reach $50 billion in sales. This mean that if you aren't currently using essential oils, it is likely that you will be in the next 5 years. Just like I searched for chemical free ways to live my life, more and more consumers are demanding healthier products. Just like me, they are seeing the benefits of essential oils in achieving this healthy lifestyle. So there will be a ton of companies who want to get in on the essential oil ride to give you what you'll want. What many of the companies won't understand is that putting a $9.99 bottle of essential oil in someone's hand is NOT fulfilling the need they are asking to be met. When you see a company that is selling oils on the cheap, that is exactly what you are getting. A cheap oil. 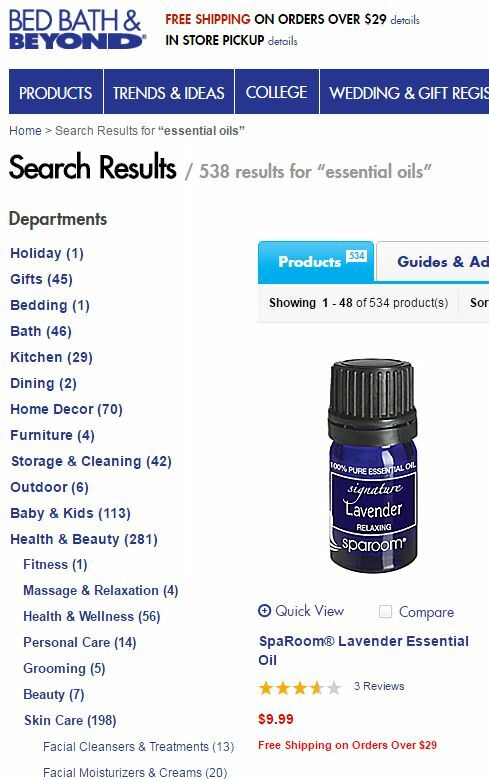 So, what exactly do you get when you purchase a $9.99 bottle of essential oil? Here are a couple of examples on how new companies will be able to get that price per bottle down to make it cheap for you. 1. They buy plants from farmers on the cheap. You should ask the question then of "How do you get cheap plants?" Your local farmer could probably answer that one. Spray the plants with chemicals to keep bugs off and weeds out so you don't have to pay people to tend the fields. So, it stands to reason that if the farmer is tending to his plants with sustainable growing and harvesting methods that their product would be more expensive. If the company selling the oil doesn't have control of the farm growing their product, you shouldn't buy from them. 2. They purchase their distilled oils from companies that dump in chemicals during the distillation process. 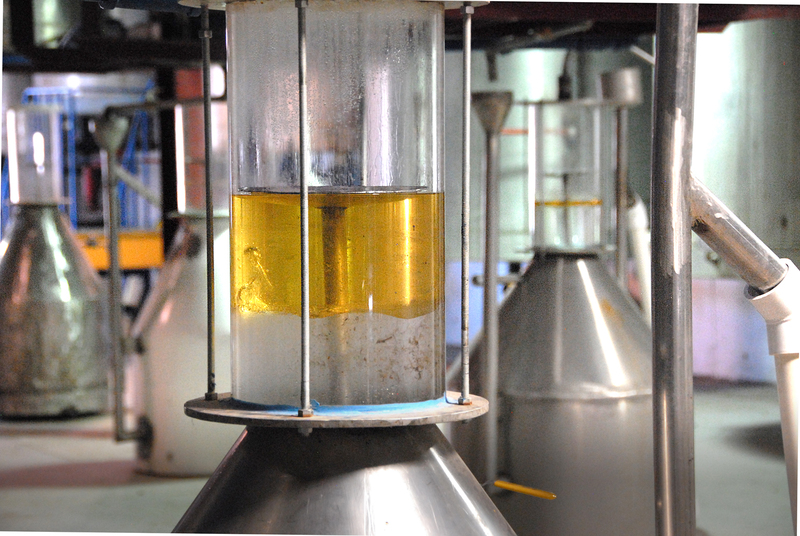 Distillation is the process of getting the oils out of the plant. As you know, time is money so speeding up the time it takes to get the oils out of the plants can be done by adding chemicals. The chemicals can also draw out more oil from the plant material. Companies that do this don't realize that distillation is serious science. Without the science, you actually change the way the oil works AND you can actually cause harm to the human body. Altering the chemical constituents of the oil will change the way it works for you as well. When the distillation process isn't correctly monitored or completed correctly, the oil will not work the same as properly distilled oils. If the company selling the oil doesn't distill the oil themselves, you shouldn't buy from them. 3. Adulteration is another method commonly practiced to 'stretch' the essential oil. 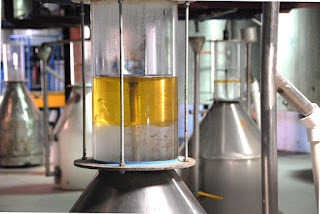 This is where the company adds a carrier oil like grapeseed, fractionated coconut, jojoba or another oil to extend the essential oil to increase the amount of oil they have to bottle. Would you be happy to pay half the price for a Pepsi only to find out that only half of the syrup was used? Yuck! Adulterated oil will not give you the same 'action' as a pure unadulterated oil. Sometimes you'll have to use 4 - 6 drops of a cheap oil to get the same result as only one drop of a pure essential oil. Not really as cheap as you thought. If the company dilutes their oil, you shouldn't buy from them. 4. There are some companies that will tell you their oils are wonderful then say "Not for topical use". This is a RED flag that should say STOP!!! Why would you even diffuse this oil? The essential oil makes its way into your system when it is diffused. If the oil says you should not use topically, that should suggest to you that it is adulterated and probably laden with chemicals. If the company's oils say "Do Not Use Topically", you should not buy from them. Please don't waste your money and risk your health by purchasing oils that are cheap. You'll get exactly what you paid for! Young Living is the ONLY essential oil company that owns its own farms and partners with trusted growers. They are the only company that controls the process from the seed to the bottle. They are the only company with over 20 years of experience with essential oils. No one else even comes CLOSE to this sort of knowledge when producing oils. 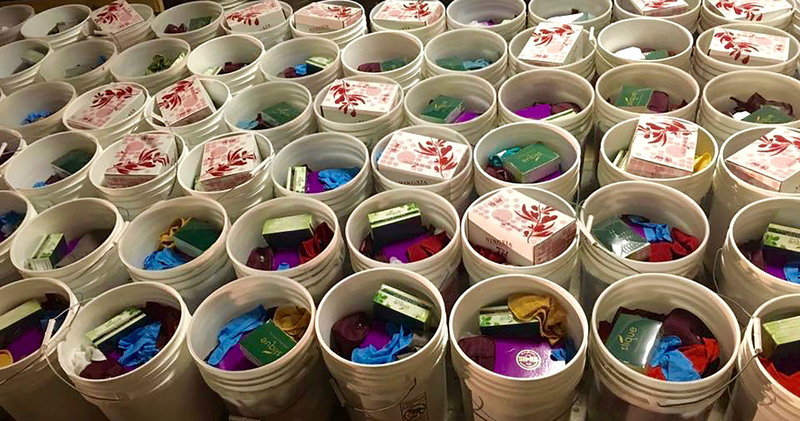 Click HERE to read about their Seed to Seal promise. Seed to Seal is NOT their slogan, it is their CALLING! So when you are ready for oils, save yourself the time, frustration, and energy. Young Living has the best essential oils. (Mic Drop).....Boom! And as for diffusers? We have them too and they work! So, if you are interested in oils and/or a diffuser, please send us a message. We'll show you several different ways you can start the oily life. We don't want you to do ridiculous things like pay $9.99 for a bottle of questionable essential oil (regardless of the scent!). That company shown above?? If you need a pillow or a towel get it there, but leave essential oils to the pros! I often keep my eye out for something special for gift giving all year long. I refuse to decorate for Christmas BEFORE Thanksgiving but I ALWAYS shop early!! 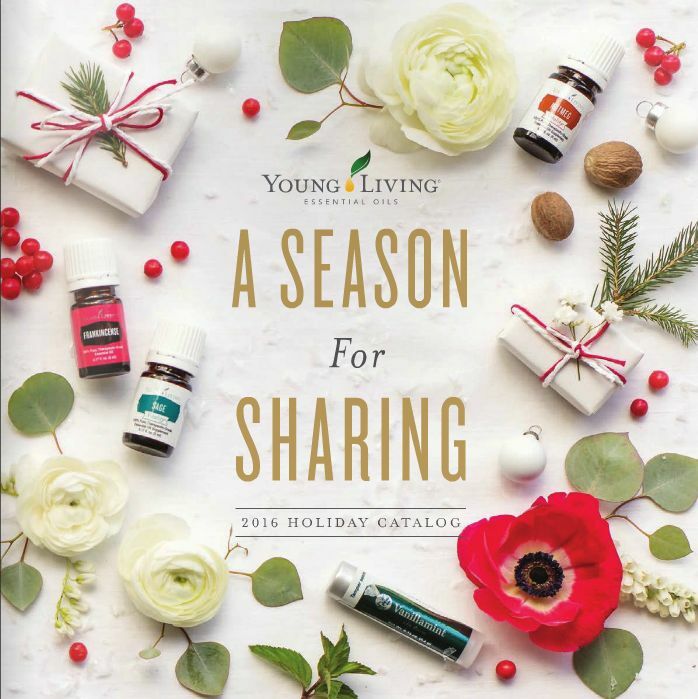 Now, here is your chance to do the same with the beautiful new 2016 Christmas Catalog from Young Living. There are some super gift ideas in there. I particularly like the Tree Scent set where you can give your fake tree the smell of the season. Speaking of smell of the season, Christmas Spirit Essential Oil was diffused all the time around here last year. You will love its smell filling your home. Then there is the Stainless steel thermos. Perfect for putting your essential oils into your drink, cold or hot! For your baking experience, you can get the Einkorn flour (the same kind they donated to the Louisiana bakeries) for your holiday baking. And the list goes on and on........Oh...did I mention that there is a 4 pack of lip balm. You can break that apart for separate gifts....OH.....and the wellness kit for teachers. Well, I could go on and on.....Check it our for yourself! CLICK HERE for the catalog. This makes me just proud!! I hope that you can take the time to read the article below!! It isn't too long and it has many pictures from the flood area. This is the kind of reaction that makes me proud of the company we represent. THIS is how caring people should react in time of tragedy. 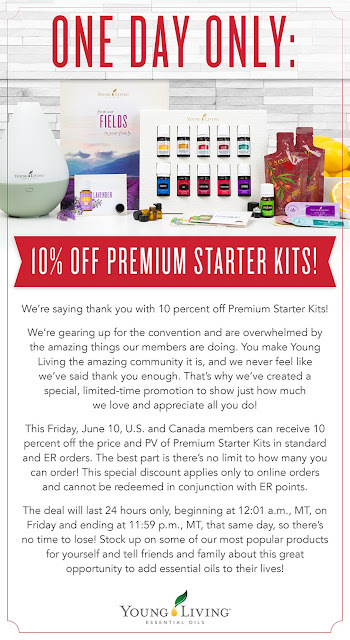 Young Living did it in a big way for their members who were hard hit. They also reached out beyond their membership with help food wise. Beyond the normal, way beyond awesome!! Can you say help to 900 members AND over 2 tons...yes I said TONS (that's over 4,000 lbs) of Gary’s True Grit™ Einkorn Flour to Louisiana, along with salt, butter, yeast, and loaf pans. Sometimes hope comes in the form of a loaf of bread or a 5 gallon bucket of product to help you when you need it! For those of you who don't know, the Bon Voyage kit has 10 personal care product in airport ready sizes. Perfect. The Slique and Wolfberry bars are like energy bars. The Ningxia is an anti-oxidant energy type drink. All helpful! Almost two years ago, I started on my quest to get rid of chemicals in my daily routine. Think about it......Your skin is the largest organ of your body. Everything you put on it is absorbed into your body. So many chemicals are endocrine disruptors! Taking care of your skin and not assaulting it with chemicals is very important for your ultimate health. Since my quest started quite a while ago, here is an update! 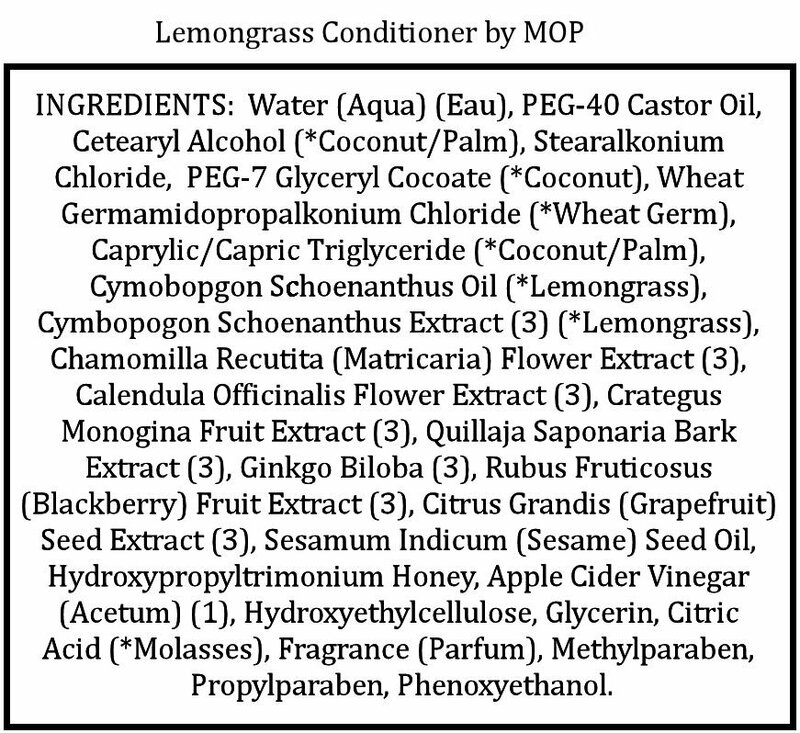 Below is a list of what I used to use and what I use now, effectively deleting most of the chemicals! 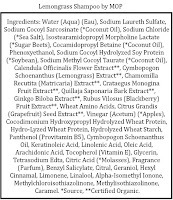 I used to use Zest bath soap......Just look at all those ingredients. I switched to Kiss My Face soap with only three ingredients ......Water, Salt and Olive Oil. What I found interesting about this soap is that it just lasts and lasts. I'll go through only one bar of this soap while my hubby goes through about three of his. And my skin feels great and is clean. That was my first win. The second items I tackled were my shampoo and conditioner. Even though they were from a company that called themselves Modern Organic Products, I called them Mostly Organic Products. The shampoo still had the dreaded SLS and both had wheat!! For someone who deletes wheat from their diet, this just needed to go! I love the way my hair feels and have saved a ton of money with the new way. You can read all about my new hair routine in this blog post about my No-Poo Shampoo! The next item on the list was toothpaste. I had been with Young Living about 6 months before I decided to try their Aromabright toothpaste. Wow, oh wow!! I was happy! When my teeth were brushed they felt like they had just come from the hygienist, so smooth and clean feeling! AND if you want to add a little whitening to it, you add one drop of Orange Essential Oil! It is a gentle whitening for a natural looking tooth color. You can see my one month trial picture HERE. I had only been using it a couple of months when I went for my cleaning and she said that there was very little tarter. Score! But, what is in it? NO chemicals AND NO SLS!!!! (Water, Calcium carbonate, Cocos nucifera (Coconut) oil, Sodium bicarbonate, Glycerin, Xylitol, Xanthum gum, Mentha piperita† (Peppermint) oil, Mentha spicata† (Spearmint) leaf oil, Stevia rebaudiana leaf extract, Lecithin, Eugenia caryophyllus (Clove) bud oil, Ocotea quixos† (Ocotea) leaf oil, Cinnamomum verum† (Cinnamon) Bark oil, Citrus limon† (Lemon) peel oil, Eucalyptus Radiata† leaf oil, Rosmarinus officinalis† (Rosemary) leaf oil) Another win!! The next thing on my morning list was deodorant. This was the hardest item to tackle on my original list because you just DON'T want to stink!! So, I picked a long weekend when we weren't going anywhere. 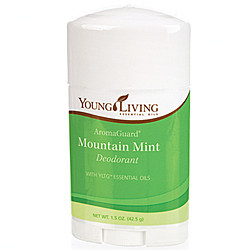 I could wash up if I felt I was too stinky and tried the Young Living Mountain Mist Deodorant. There were several things I noticed over the weekend and into the first week. Did I get a little stinky......yup. But the stinky seems to change at the end of the week. Instead of being super awful, it wasn't bad at all. I guess it took me a while to get the old deodorant out of my system. Now, about a month later I don't notice hardly any smell at all. What really threw me at first was that I actually sweat, which is good for you! After using antiperspirant for decades having my pits wet was a new experience for sure! My shirts do need to be laundered a little more. Sometimes I can't wear the shirt the second day. That's okay with me though. Getting rid of the aluminium and the other chemicals is a big win! I will definitely be continuing the new deodorant. 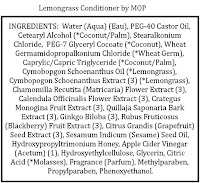 Here are the ingredients of the Mountain Mist Deodorant (Cocos Nucifera (Coconut) Oil Extract, White Beeswax, Pure Ester 34, Zinc Oxide, Pure Ester 40, Syzygium Aromaticum† (Clove) Flower Bud Oil, Citrus Limon† (Lemon)Peel Oil, Mentha Piperita† (Peppermint) Oil, Rosmarinus Officinalis†(Rosemary) Leaf Oil), Eucalyptus Radiata† Leaf Oil, Abies Concolor† (White Fir) Oil, and Tocopherol (Vitamin E). Finally, the last of my morning routine to change was my facial lotion. 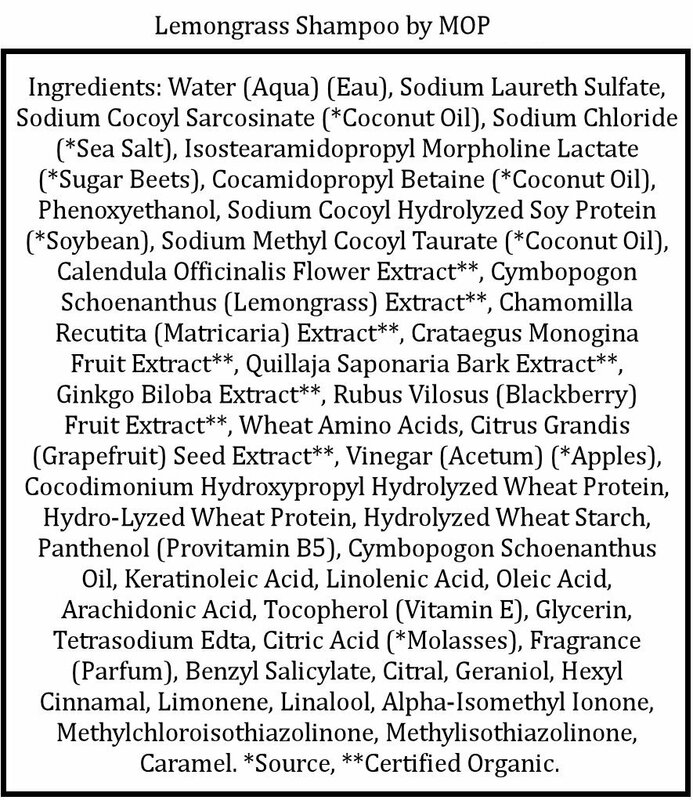 I've loved Mary Key TimeWise Age-defying Moisturizer but just look at all these ingredients!! (Water, glycerin, C12-15 alkyl benzoate, cettearyl alcohol, isostearyl alcohol, triethanolamine hydrogenated lecithin, behenyl alcohol, propylene glycol, dimethicone, bis-diglyceryl polyacladipate-2, ceteareth-20, linoleamidopropyl PG-dimonium chloridephosphate, silica, carbomer, diazolidinyl urea, lauramine oxide, disodium EDTA, betaine, glyceryl polyacrylate, methylparaben, sodium PCA, C9-15 alkyl phosphate, tocopheryl acetate, sorbitol, propylparaben, serine, threonine, proline, arginine, glycine, alanine, lysine, glutamic acid, thermus themophillus ferment.) Yikes!! So what do I use now. Jojoba oil and Frankincense Essential Oil. I put a little Jojoba oil in my hand, add one drop of Frankincense and rub all over my face. I am literally in LOVE with this. The Frankincense is super good for your skin and the Jojoba doesn't clog your pores either. My skin tone has been fabulous! So, I hope that this inspires you to delete chemicals out of your routine. It isn't too hard and your body will thank you. 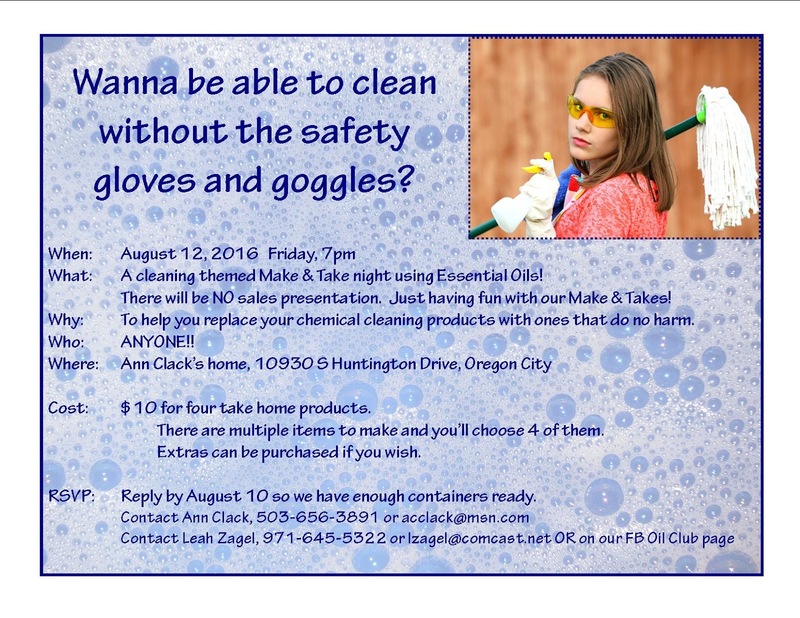 Later this week, I'll tell you how I have expanded my quest and deleted chemicals from my cleaning products. We are home from our wonderful Rhododendron Society conference and ready to draw the winner of the car diffuser! Truly I wish all of you could win but alas, only one will! I posted a Facebook live video of the random generator winning number so you could see that it was on the up and up! For those of you who are NOT on Facebook here are the details! There were a total of 18 entries. From lines 3 - 20. That included 5 Facebook shares for an extra entry. The random.org generator picked number 19 on the list which was Christina Santoyo. CONGRATS! 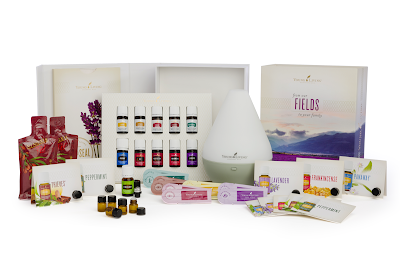 Your diffuser and Stress Away essential oil are coming your way this week! For those of you who are soooo bummed that you didn't win, I want to share where I got the diffuser so you could get one for yourself if you wish! Click here. I've ordered many things from this company which hosts many different vendors and have always had wonderful service. 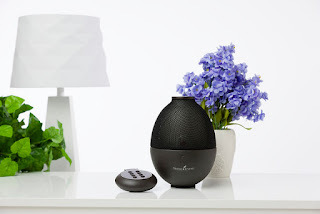 THEN......for those of you who might be interested in Stress Away OR if you are interested in a diffuser that can go in either the car or a small room, there is a super Young Living one called an Orb. ....just leave me a comment below and I'll share you how you can get your own! Thanks to all those who have entered. All entries and double entries from Facebook shares will be put into a bowl and the winner drawn via a Facebook live video late Sunday evening. Good luck to you all! Have you ever thought of blending some of your oils together? Like a blend to help you sleep better. Just exactly what is the best way to go about blending. Well, there is a specific science that makes blending easier. First, let's talk about synergies! In her book, French Aromatherapy, Jen O'Sullivan talks about the fact that blending your oils together in a glass bottle and letting them sit for 24 hours before using allows the constituents of the oils to blend properly. 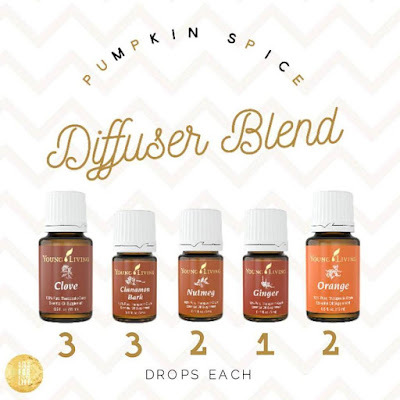 This creates a blend that will work much better than throwing the oils together and using right away. This is true for blends that you want to put into your diffuser as well. If you have a favorite blend for your diffuser, say....peppermint and orange, for a good pick-me-up for your morning, mix those two together the day before. You'll notice a difference even in the diffuser product!! When you are blending, make sure you DO NOT blend together other blends. 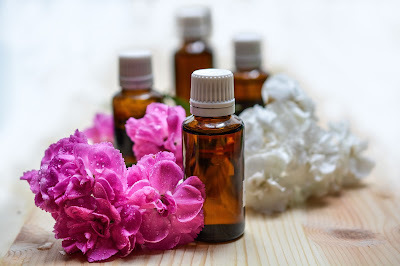 If you are really interested in learning about blending, the best way is to take an aromatherapy class. If you can't do that (they are usually expensive), the next best thing is to learn from those who HAVE taken the class and are sharing their knowledge. I follow a blog called EssentialFamily and her post of blending includes a couple of charts that are super helpful when you want to blend. It includes a list of oils that blend well with each other. There is also a chart showing Blending Factors that help you with ratios. You can read her entire post HERE. So, grab those oils, think about the blends you might way to try and go for it!! Just remember to use glass bottles!! This is a good reason to save your empty bottles!! After you have made some blends, come back and tell us the blends you made. You may just be able to help someone else!! You win by showing the love! How would you like to win something? You would?! Great!! Wait......it would be nice to know WHAT you would win, right? Well, this certainly is a sweet prize and your odds of winning are WAY better than the lottery. That purple bulb thing is a diffuser for you car. It plugs in and can be rotated to level. It produces a fine cool mist to disperse your essential oil. AND the best part is that your prize will include a FREE 5 ml bottle of Stress Away. I couldn't think of a better oil to have while you are driving. That will give you 80 drops of Stress Away goodness! You'll only use 1 to 2 drops each use. 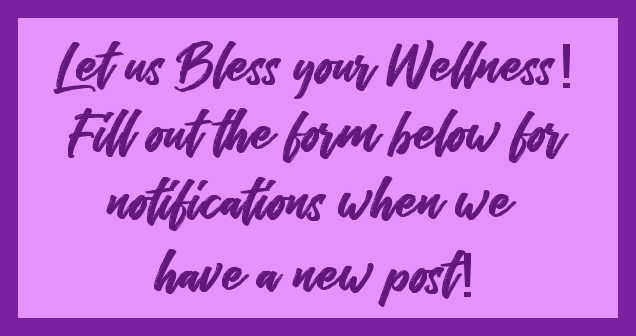 Enter your e-mail address to the side where it says "Follow by Email" You'll be able to see each important essential oil post that we make this way AND we NEVER share your address with anyone!! A Comment below that you signed up is appreciated but not required. Want to win extra entries? Share this post on your Facebook page with the hashtag #WinTheDiffuserContest and you will get an extra entry into the contest. Contest will run until midnight PT on September 30st. Winner's name will be pulled on October 1st and will be posted on this blog. Winner must respond with their mailing address within 48 hours of winning or forfeit. A new winner will be pulled if the first winner doesn't reply within 48 hours. We are not responsible for entries that do not follow the instructions completely. Sorry, the contest is only open to US residents due to shipping costs. When you are done entering, take a minute to wander around our website. You'll learn a lot. Fall is in the air! I already have leaves falling on the driveway and the air seems to have changed as well!! You know what that means? Yup! It is time for Everyone to start selling their version of a pumpkin spice drinks. BUT, do you really know what you getting? Do those drinks really have what you want? 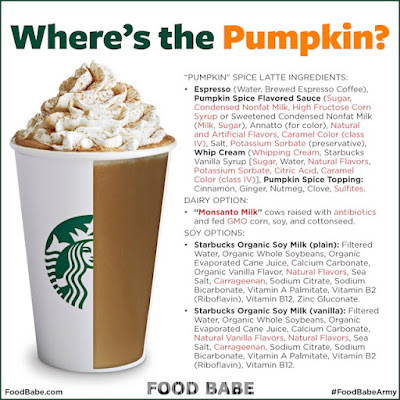 Well, let me tell you that one of the most popular drinks has everything BUT pumpkin in it!! Here is a graphic from one of my favorite online gals! Food Babe!! As you can see from her graphic, there is some 'not-so-great' stuff in there! If you would like to read her whole article (which is really good, BTW), click HERE. WHAT ARE YOU TO DO WITHOUT YOUR LATTE????? Well....here is a wonderful recipe here that uses GOOD stuff and uses Young Living Vitality Essential Oils......... Goodness to add to your morning coffee! Pour all ingredients into saucepan on medium heat and stir until all ingredients are combined. Pour into container and keep in fridge. Stir before each use! You can also use heavy cream or a dairy free "milk" if preferred. 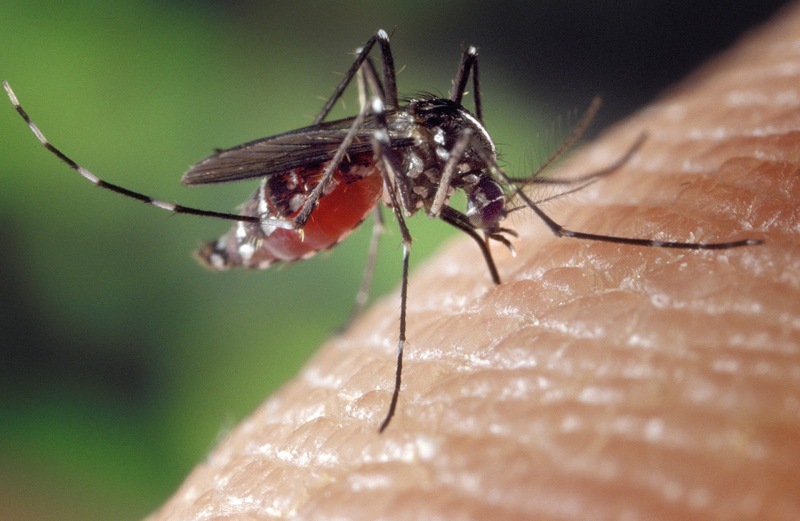 I got an e-mail the other day about Bug Protection that was chemical and DEET free. They claim to have four different essential oils in their blend. Their price was $9.95 plus shipping for about 10 oz. With the percentages of essential oils that were in the product I calculated that there was about $4.00 of essential oils in the blend using my cost and estimation of oil drops per type. So, YOU can make your own Bug Protection and KNOW that you are getting pure essential oils and not oils that have no purity listed on the bottle. Following are just two of many oil combinations that work well for bugs. Use this instead of Dryer Sheets! I love clean smelling laundry, don't you?!! 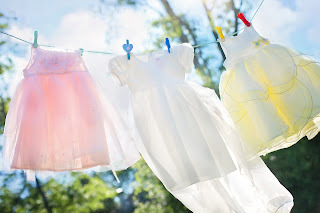 Long ago, I thought that since I didn't dry my clothes on a clothesline that the only way to get that outdoor freshness was to use a detergent that had a fragrance, OR a fabric softener that had a fragrance. When those fragrances started to bother me, I went to all fragrance free detergents and softeners. Then, dryer sheets came on the market. I was thrilled because they were so convenient. Just throw on in the dryer. The fragrance free ones gave me softness without the scent that bothered me. The clothes were clean but didn't have that clean scent that we have been trained to love. I happened upon a website that is a guide to healthy cleaning. It tells you all about the chemicals in your cleaning products and how they rate on the healthy scale. It was very eye opening. 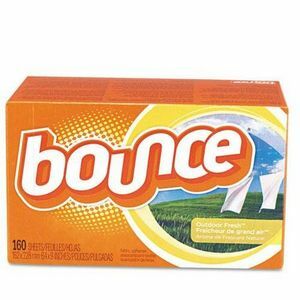 Lets look at dryer sheets for instance. I choose Bounce Outdoor Fresh dryer sheets because we all want to have outdoor fresh smelling clothing, right? Click on this link to see the results! Using the information from the website above it is easy to see that the air in your home is ofttimes more polluted than the air outside? Yup.....wanna know why? When you use cleaning supplies that contain chemicals, they pollute the air in our home. If you aren't regularly airing your home, your air is very polluted. So, what can you do about this and what does it have to do with dryer sheets! Go chemical free! How? Dryer balls and essential oils! So easy and totally chemical free. 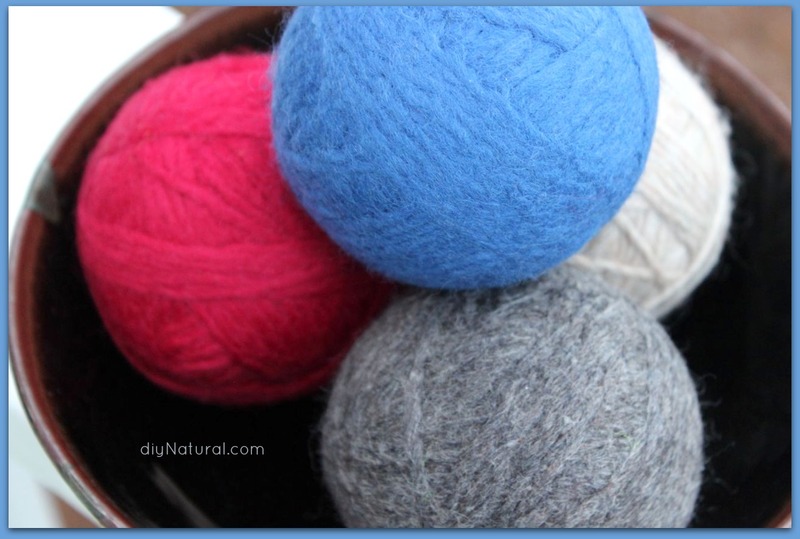 You can make dryer balls yourself (click here) or purchase them already made. 3 - 6 balls tumble with your clothes helping to reduce static and drying them quickly. THEN, you can drop essential oils on the balls to scent your clothes any way you want. Use Young Living Lavender Essential Oil when you dry your sheets to help you drift away easily at night. Use Young Living Purification Essential Oil to dry sports clothing or animal blankets. OR, try using Orange, Cinnamon and Nutmeg for handtowels......yummy! There is no end to the ideas! So, many wonder about using essential oils on kids. Can you? The answer is Yes! Many essential oils are appropriate for use on children but should be diluted with a carrier oil prior to use. VERY diluted. Essential oils are very concentrated and a 30:1 dilution is good to start off with. As the kids get older, that ratio can change. For babies......you may want a dilution that is even higher than that...more like 50:1. 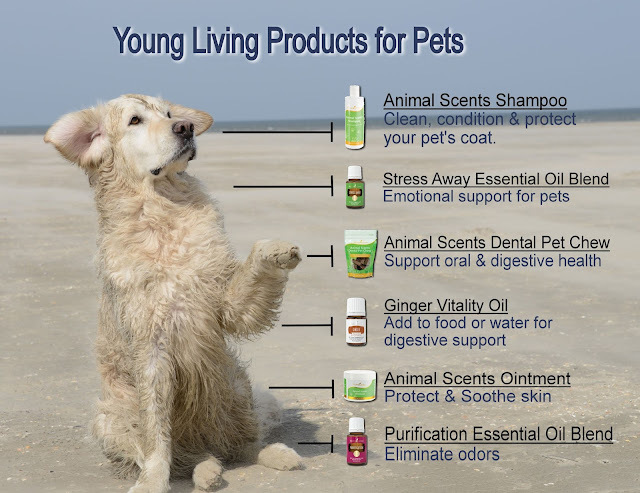 Some Young Living products come pre-diluted with carrier oil, as indicated on product labels, and are intended for direct application on children. SleepyIze™, RutaVaLa™, Gentle Baby™, and Peace & Calming®. They are all perfect for your children! 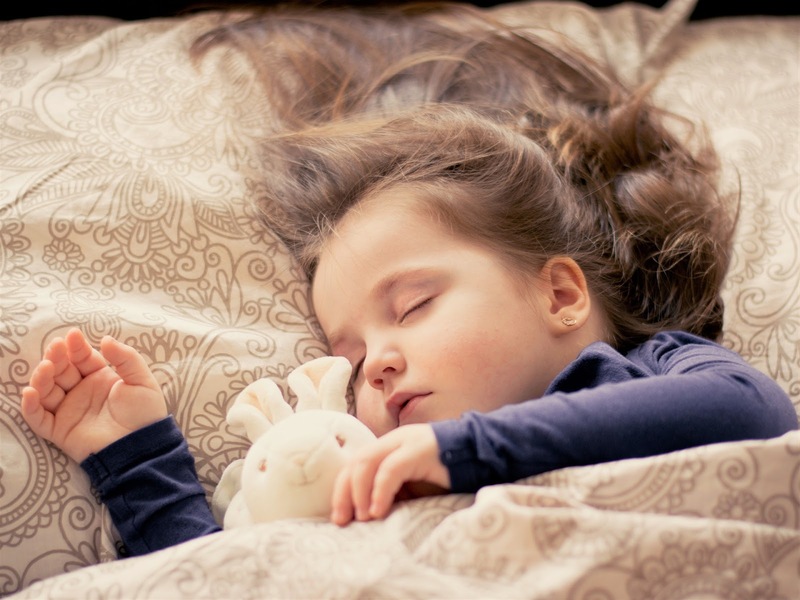 Let's say that your child is struggling with allergies. Here is a Night-time Allergy blend that you can make yourself. Use when they are coughing, have runny eyes or trouble with their sinuses. Even those little sniffles would benefit from this! This blend is great for children age five and older. For children younger than five you'll want to diffuse the essential oils instead of using the blend below. You'll need a 2oz PET plastic container for this blend. You could use glass as well but if you're keeping the blend in their room, you may want the plastic for safety. PET plastic is rated to be safe used with essential oils. Aloe Vera Gel is normally refrigerated but this blend is okay out in the room temperature. You'll want to make it fresh every few months. Hope you have enjoyed this little blend for kids! Newly approved through the FDA! Yup!! Cool Azul Pain Cream can give you some relief!! Do you have trouble with arthritis? 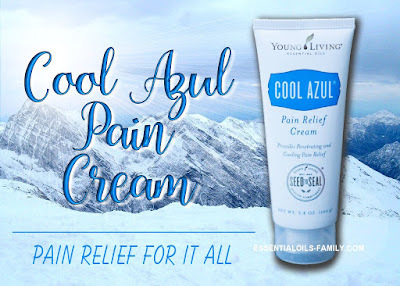 Cool Azul PAIN cream for you! Minor Muscle & Joint aches? Cool Azul PAIN cream for you! Strains or sprains? Cool Azul PAIN cream for you! Bruises? Cool Azul PAIN cream for you!! This product is for relieving pain!! Methyl Salicylate – found in Wintergreen, which helps alleviate pain deep in the muscles & joints. Natural Menthol – Found in Peppermint, this provides a cool, soothing effect. Other ingredients include Young Living’s exclusive Cool Azul essential oil blend, Green Tea Extract, Mango Butter, and Organic Aloe Leaf Juice. Delivers full-strength, cooling relief that penetrates deep into muscles and joints. Direction: Adults and children 12 years and older apply to affected area no more than 3-4 times daily. SO.....WHAT ARE YOU WAITING FOR? LET US KNOW WHEN YOU WANT SOME AND WE WILL FIX YOU UP! This is a vegetarian and vegan product. More and more people are talking about and using essential oils. Want to know why? It is because they work. 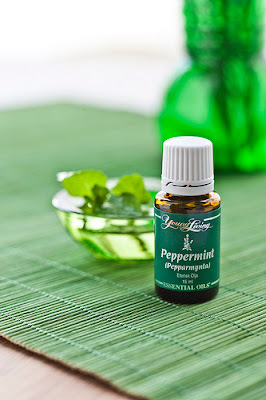 Here is an interesting article about nurses who are using Peppermint Essential Oil in an inhaler to administer to patients to help with post-op nausea. AND there is lots more that you can use the oil for!! New Member kit change up! Just last Month our beautiful New member kit was changed up a little. Did the oils in the kit change? Well, not really.......the labeling on 5 of the oils is different though. The top row debuts the new Vitality labeling. This is the same oil that was in the old bottles, just with a new label. The Vitality series is safe for ingestion as indicated on the label. You can read all about the new Vitality series of oils in our older posts. If you are interested in getting a kit like this in order to receive full wholesale pricing on all products, please let us know and we'll help you in the comment section with contact info OR message us if you are one of our friends on Facebook. It is a wonderful bargain and a super way to start with oils! A diffuser, 11 oils, and lots of samples to share! What is a journey? It usually starts with a destination in mind....but not always. It almost always has a purpose. My journey had a purpose but I couldn't find the road....at least not at first. It was a little over a year ago when I started on my journey. I had a purpose in mind but was having a hard time finding the road. 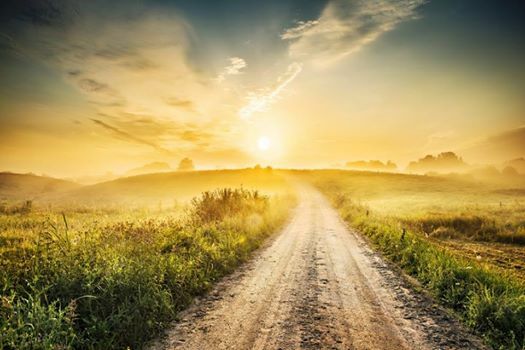 Then, something happened and the road was revealed. What was my purpose? To eliminate the chemicals that were bombarding my body every day using just the necessities! When I was searching the most, someone I trusted showed me possibilities. It was an 'ah-ha!' moment and the road appeared! I wanted a healthier life free from chemicals and the way was revealed through my friend. It was a simple way and one that helped me achieve my goal WAY beyond what I had expected. When I started my journey, I did it for ME. I did it because it works! I did it because I know that God has a better idea than the companies that use chemicals to take the place of something He already had created. I don't know it all but I do KNOW that God placed essential oils in my life at the perfect time and I LOVE them! They are my passion. I searched for the best and I found them! So.......When will you start your journey? 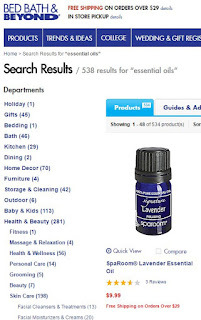 Have you wondered about getting essential oils for gift giving. Yes....it is not Christmas BUT Mother's Day and Father's Day are coming up and Young Living has a Spring Catalog for you with exclusive products in that will only available until June 20 or as long as supplies last! 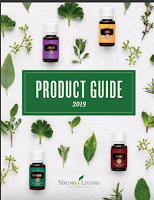 When you place your monthly Young Living order, you will be getting one of these catalogs but until then, you can use the link below to view it online. If you aren't a Young Living member yet and are interested in more information, please comment below with your contact information and we'll let you know how easy it is. I had a chance to look through it already and I think the Kitchen Vitality oil set would be one of the wonderful options for a Mother's Day gift!! What do you like in the catalog? "I'm allergic to (insert plant or herb name), so I must not be able to use that oil." This is a common idea that isn't necessarily true! As with most allergies, the allergen is pollen, dust, dander, or other substances. Those substances are proteins or polypeptides. Both of those are large molecules that are made up of strings of amino acids. Some polypeptides contain just a few amino acids. Proteins contain dozens, hundreds, or even thousands of amino acids. BUT........the bottom line is that they are LARGE molecules. Essential oils are manufactured by a process of distillation which only allows for extremely small molecules in the finished product. Most proteins and polypeptides are from 100 to 1000 times bigger than the largest compounds found in essential oils. So, the absence of the polypeptides and proteins in essential oils explains why many people are able to use (without any problem) the essential oil of a plant to which they are allergic. 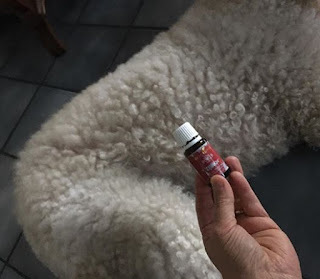 I have a friend who is allergic to Cinnamon but has no problem using Thieves Essential Oil (which contains Cinnamon) when she is fighting a cold. So, does this mean that you will never have an allergic reaction to an essential oil? No, as some do contain phenols which 'could' cause a reaction. Each person is different! 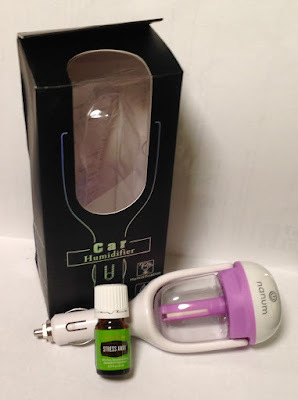 The safe way to try an oil is to dilute it with a carrier oil. 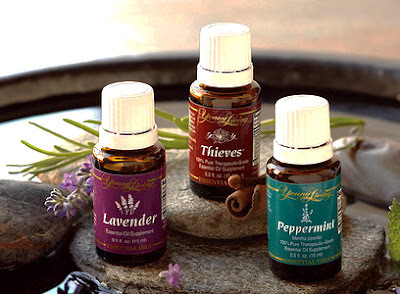 See this post on Young Living's site about oil safety, carrier oils and 'hot' essential oils. Click Here.